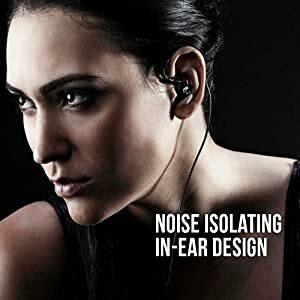 The MEE audio M6 utilizes an over-the-ear design with memory wire technology, providing a locked-in, comfortable, noise-isolating fit for any activity while delivering clear and dynamic sound. 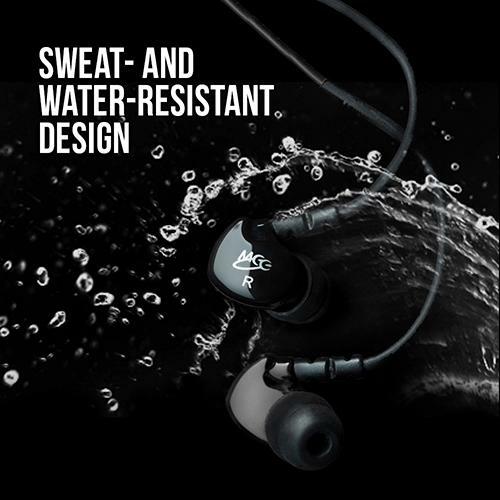 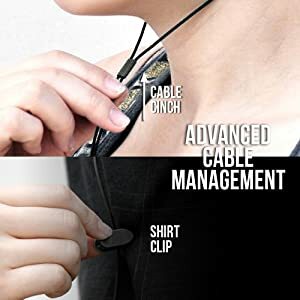 Combined with the lab-tested sweat- and water-resistant design, this allows you to forget about your earphones and concentrate on your workout. 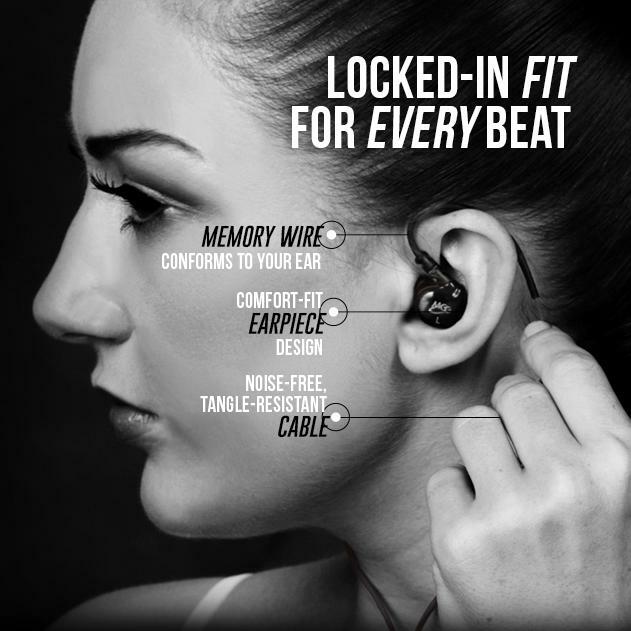 Whatever activity you choose, the M6 will match your pace. 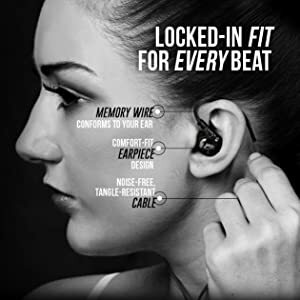 Secure over-the-ear fit with memory wire and patented ergonomic earpiece design never falls out. 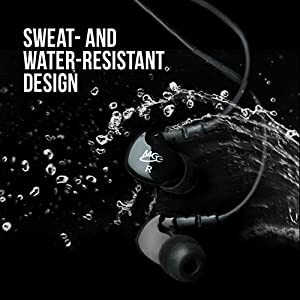 Certified IPX5 sweat- and water-resistant design for increased durability. 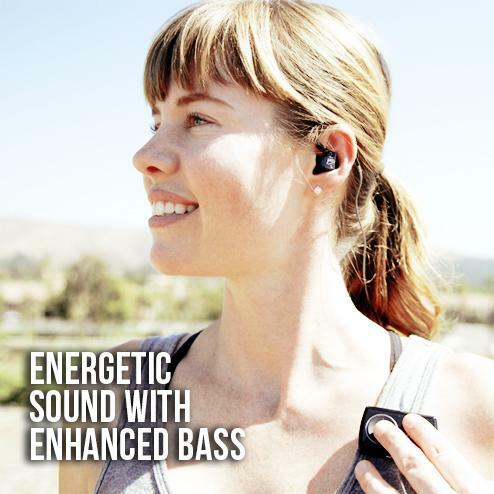 Clear, dynamic sound and enhanced bass let your music motivate you. 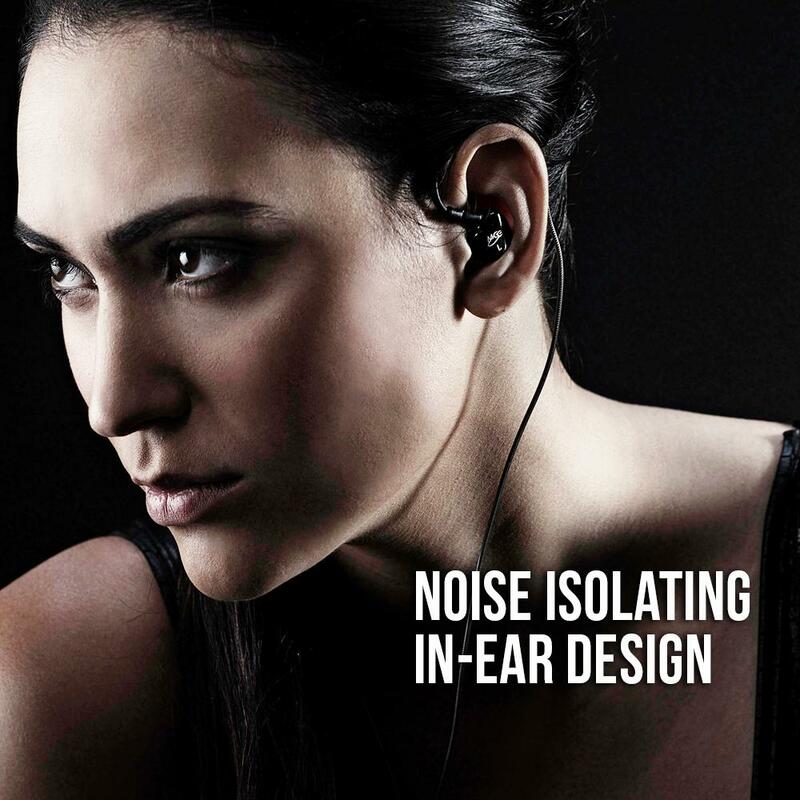 In-ear fit reduces outside noise to help you focus. 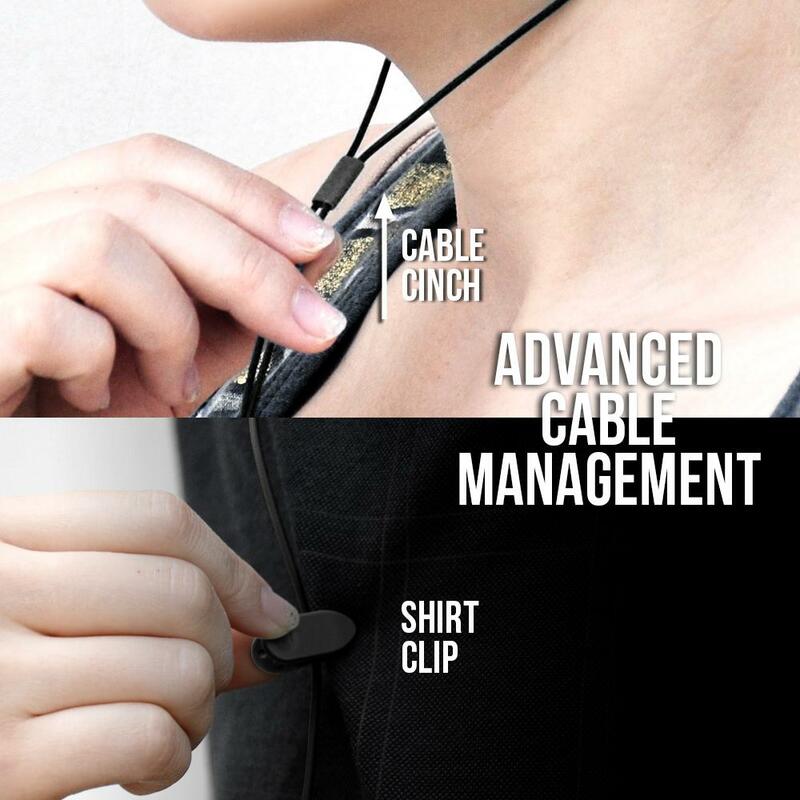 Color-matched carrying case, shirt clip, and six sets of eartips included. 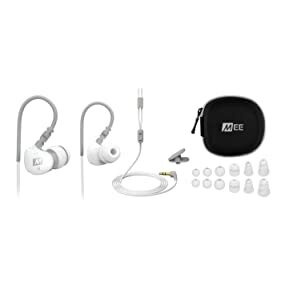 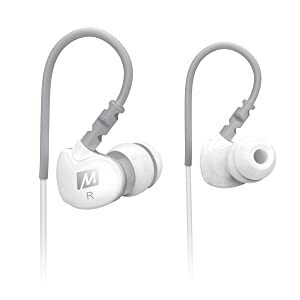 For more than five years, MEE headphones and earphones have won acclaim from casual listeners and audiophiles alike. 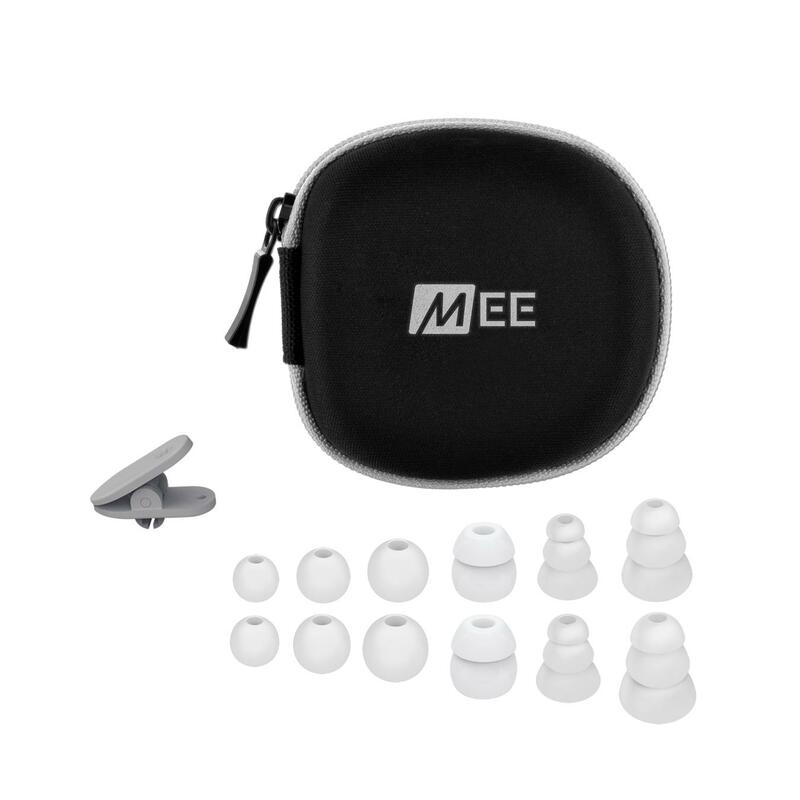 Specializing in sports, wireless, and high fidelity headphones, MEE is committed to providing the best user experience, performance, and value with every product, delivering Music Enjoyment for Everyone.